Try, I've found out that David is an extremely nice and responsive dude. 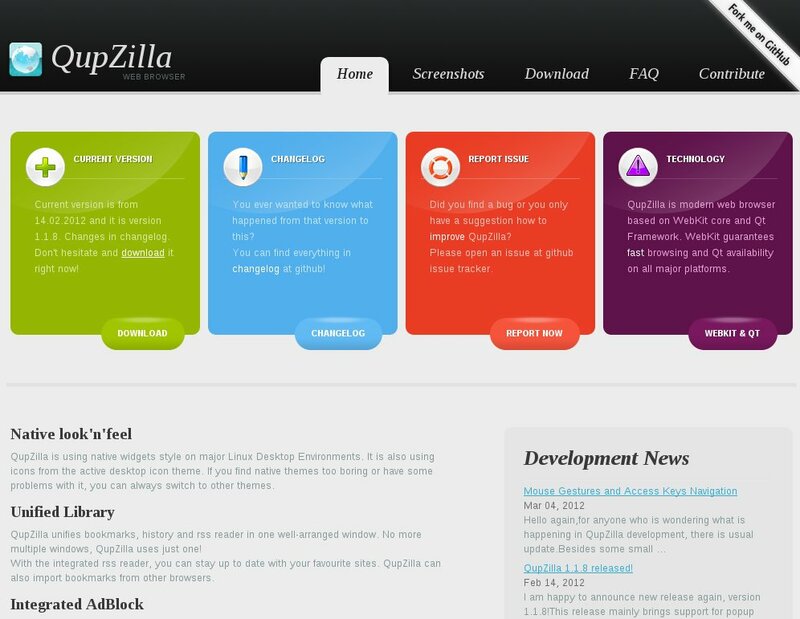 He hangs out on IRC at #qupzilla on freenode and is there as "nowrep". 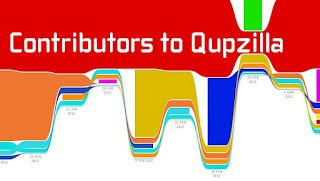 X11:QtDesktop forks qupzilla from home:nowrep. Mainly because we use OBS as a platform for suse (of course) and for fedora s well. That's main reason why it's "separated" from main OBS repos. But I have some signs that fedora maintainers want to handle these packages on their own so maybe I'll return back to suse only. Who knows. Well, as all current opensource webkit browsers it seems to have troubles with js postback functions to other windows - so does QupZilla. May be a webkit bug though (i have this problem on one site which opens a new window for login and posting back the form data to the main site) :-). It's been my favourite browser (on Linux and Windows) for a longer time now, and I can only recommend it. "Qupzilla mimics the Mozilla Firefox UI" I see more Opera than Firefox and i think that David tried to take some nice parts from the polished looks of Opera suite like the simple way you add favorites and bookmarks the speed dial with the interchangeable background and more. "David does a lot of things right" Yes he does he is also cool and friendly Geek and that helps a lot collaborations.